I missed the boat with this series, originally found at Rock, Paper, Shotgun, then in various other places of the blogosphere. It is better to be late than never, I suppose. The great thing about doing this series is that it provides insight into an author's background, revealing how they may have come to hold a certain opinion, or where their influences have come from. The result is, or should be, a better comprehension of the author's gaming history for the readers (and indeed the author as well). With this in mind, here is part one of my own Gaming Made Me series. While none of the three games in Rareware's (now known as just Rare) series were my introduction to playing games, they were my introduction into just how damn fun, addictive and incredible they could be. The colourful graphics delivered by the Mode 7 technique combined with things like interesting levels, a wide range of collectibles, and characters and animals that were filled with personality to create a series of games that I was happy to play at any time. They were simple enough to play for a few quick levels, but were also challenging and compelling enough to play for hours and hours over the course of a weekend or during school holidays. The series also inspired something that has stuck with me ever since, that of my desire to complete everything. 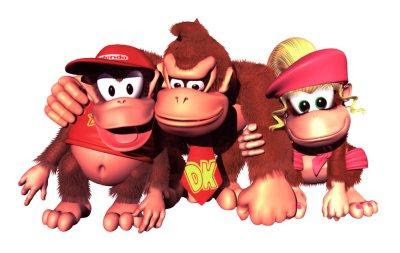 The games' collectible bananas, DK tokens, lives and secret bonus levels led me to a compulsion where I would not be content until each game was fully completed. It's trivial now, but seeing the percentage counter go beyond 100% in the two sequels was a very rewarding experience back in the day, and I will never forget the feelings that came over me when I achieved it for the first time. Over the years I've returned to and finished all three games countless times and I still enjoy them today, despite their dated design and my realisation that really, they weren't that special. I would still like to see a Donkey Kong Country 4 some day, perhaps on the DS, but unfortunately I don't see Nintendo revisiting the franchise any time soon. Still, I can dream, can't I? Regular readers of this blog would be well aware of my love of the racing game genre and now they know where it came from. While it's easy to assume I would have fallen for the genre anyway due to my passion for Motorsport in real life, Super Mario Kart's delivery of a familiar set of characters, locations and items into a unique perspective on racing gave birth to a game that was played almost daily by yours truly for a whole year. Time and time again I would go for golds in the game's various cups or verse the ghosts in time trials in an attempt to improve my times, and the entire time I was having an absolute blast. It definitely paved the way for my love of the genre now and looking back, it brings a smile to my face to know that everything I enjoy within the genre was not only prevalent back then, but in a package that set the benchmark for years to come. 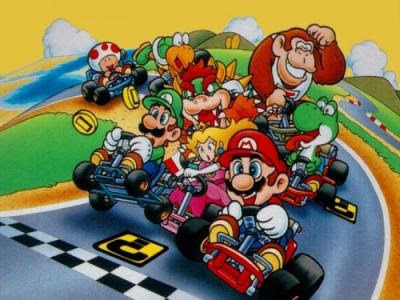 In true Nintendo fashion Super Mario Kart was an accessible, easy to play game that took the familiarity of Mario, the Mushroom Kingdom and a variety of friends and foes and unleashed them on a race track in a fun, yet strongly competitive environment that is still thoroughly entertaining to play today. Good times, good times. If Super Mario Kart paved the way for my love of the genre, then Gran Turismo was when I arrived at the destination. Finally there was a game that was seemingly made for me, one that emphasised the importance of patience, careful control (in throttle application, braking and steering) and one which allowed me to get a feel for what it would be like to drive on an actual race track. 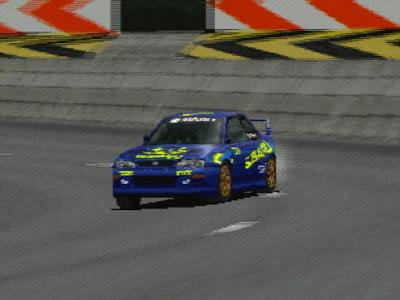 While future installments or competitors may have refined or reinvigorated the simulation racing genre by adding more cars, tracks and more types of racing (rally, drift), it was the original Gran Turismo that started it all in my eyes and for that reason alone it will always be close to my heart. Stay tuned for part two in the coming days. The Playstation was the console that stole me back from PC gaming and GT played a huge role in that. The first time I saw it in action at a friends place I couldn't believe what I was missing out on. I often lament the fact that before I moved to PC gaming I was a Sega Master System kid, while it had some decent games it just can’t boast the same number of classics that the NES & SNES in particular can. Suetekh -- During my childhood I wasn't even really aware of what was happening, or available, on the Sega consoles. Obviously I was aware of the Mario versus Sonic rivalries, but I never concerned myself with that no matter how many times Nintendo Magazine System (the official mag back then) tried to influence young kids and their opinions. I just played and enjoyed the games that happened to appear in my collection -- some brilliant and part of these classics you speak of, some not -- blissfully ignoring the rest of the gaming world. Naturally as I grew older, I became aware of the industry as a whole (and now, arguably, I'm too invested in it) and while I did miss out on some sweet games, I'm happy that I've grown up as a gamer willing to play games on any platform. It's the games that make the consoles, after all. That said, Nintendo were first so they will always have a special place in my heart. As for Gran Turismo -- you know me, we're both racing freaks. It's a given that the game and franchise are crucial to my gaming history. Bring on Gran Turismo 5!